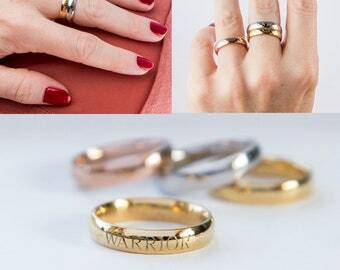 Enter what you would like engraved on the ring. 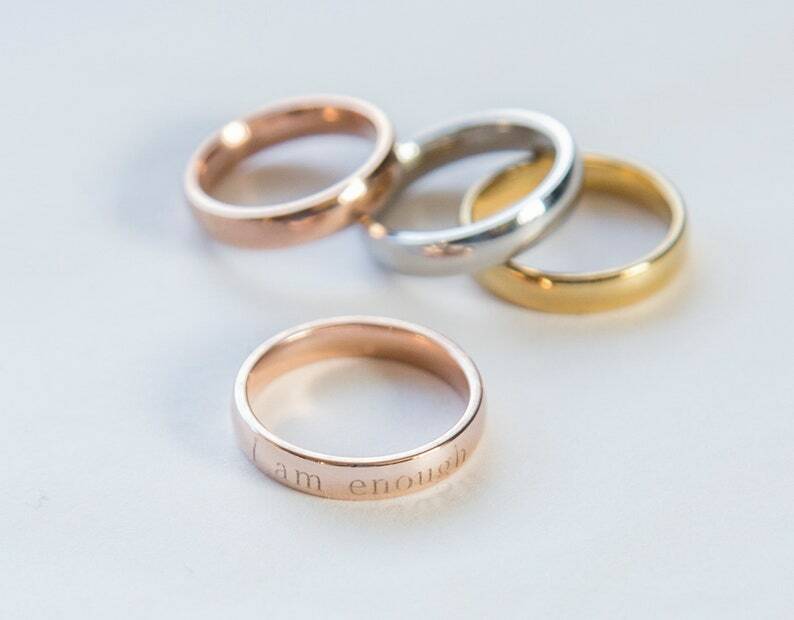 I am Enough Ring, Stacking Ring Engraved Ring, Strong Women Rose Gold Encouragement Ring, Empowerment I am Enough Jewelry, Best Friend Gift. 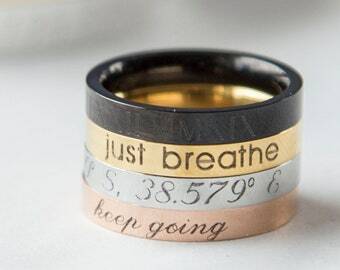 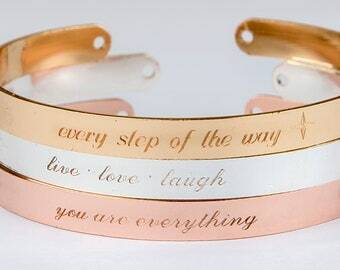 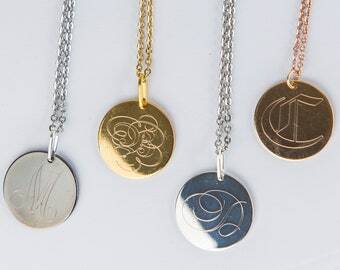 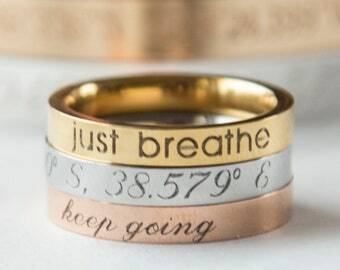 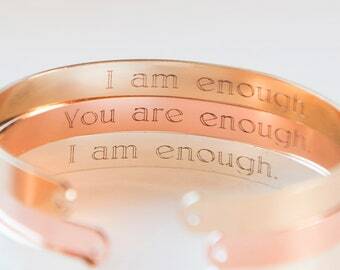 The ring will come with "I am enough" engraved on it with arrows like in the photos. 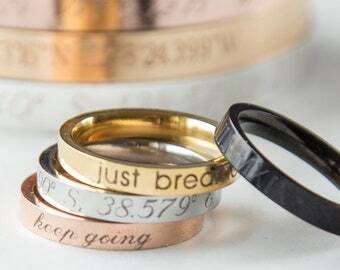 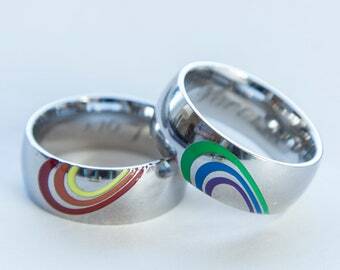 The ring is 4mm wide and can be engraved on the outside or inside. 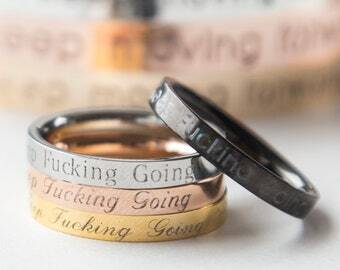 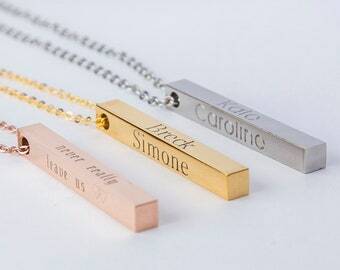 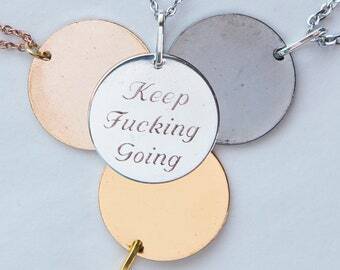 If you pick BOTH sides, please leave a note to seller with what you want engraved and on which side! 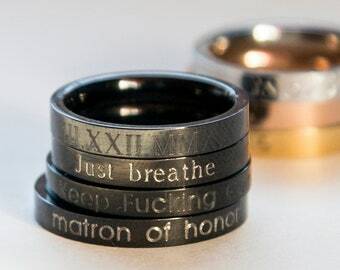 If you want something else engraved, please leave a Note to Seller!